Livity Sound carries out a music tour in Japan in November. I’d like to give a big shout to those who have helped make this happen, especially in the case with 3 people from Europe to Japan! With every and each release they dropped until 2013, the trio showcased an array of original works that feel interestingly quirky and yet still work well as dance music, which inspires many DJs into a new field. 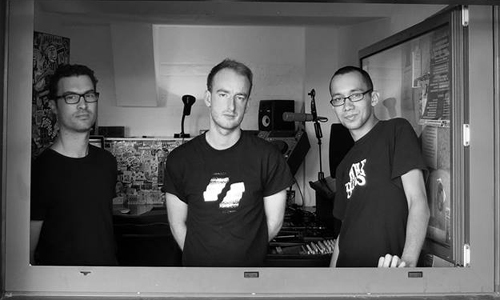 This year has seen them set out the remix project including everyone from Surgeon to Dresvn, which exemplifies the trio’s extensive musical aesthetic. It feels like their live performance has been honed to perfection since the first show in 2012, bringing another perspective towards dance music and an exciting prospect in their future releases at each experience at their gigs. Perfection might not be a right word because they seem to aim less perfection than flexible change, accepting differences positively. This video, which appeared on RA earlier this year, can be the best to grab the vibe of it, though there were many different, unheard elements involved when they performed at this year’s freerotation. “It seems like any releases sound the same these days.” if you feel like this, then Livity Sound’s singular sound is definitely too big to miss! In Osaka, the trio take over the place, playing each DJ set as well as the live set over the night. I’ll be at the venue in Tokyo and am really looking forward to seeing a lot of friends over there again!